By Joel Santana on Mar 19, 2014 - 8 Comments. 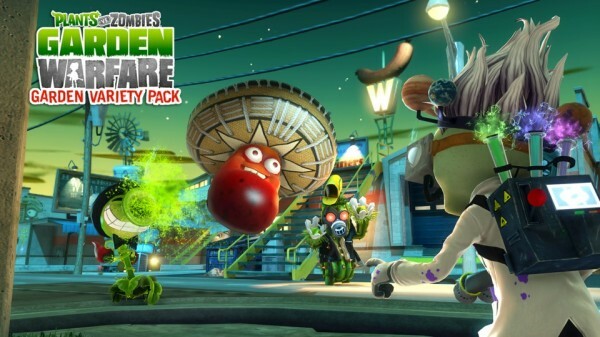 Plants vs. Zombies: Garden Warfare is already dubbed one of the weirdest shooters out there. So how exactly is PopCap HD going top the experience with its latest DLC offering? It’s simple, actually: Launch new content for free. Upon downloading the parody-filled mandatory Garden Variety update, you’ll be greeted with a seriously overwhelming amount of new content: over 120 new customization items in total, new potted plants/summoned zombie types, three new weapon skins for every Zombie class and their variants, three new skills for every class, a new medium sized map called Chomp Town, and my personal favorite, a new game mode called Gnome Bomb. Chomp Town will cater to both close-range and long-range fighting styles. Areas near the middle will offer some of that close-quarters combat while those seeking ranged battles can stick to the outskirts of the map. Gnome Bomb, a parody of Battlefield 4’s Obliteration, tasks players with fighting over one bomb that must be planted on three enemy objectives. Destroying all three wins the match. 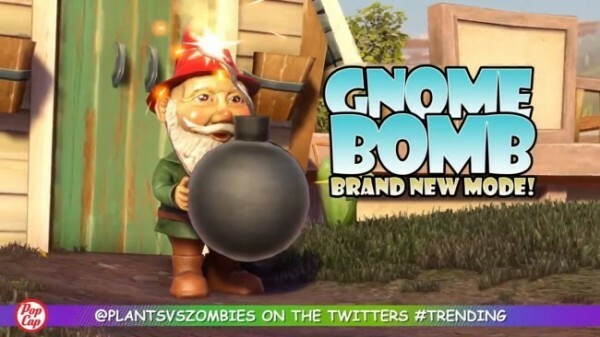 Of the two versions, Gnome bomb is, in my honest opinion, actually the better of the two, as PopCap HD take has taken measures to make the mode less “campy” and encourage the bomb carrier to actually plant the bomb. Bomb carriers have less than 90 seconds to go to one of the three bomb sites and arm it before they blow up alongside the device, making the game intensely fun and forcing everyone to work together for the win. If your team successfully manages to destroy a bomb site or diffuse the bomb, a new bomb will randomly spawn at a point on the map. Gnome bomb carriers must be cautious, as once you pick it up, you won’t be able to use any of your special abilities. Without abilities, expect the Plants team to be filled with nothing but Peashooters. They are clearly the best Plant class for this mode due to an above average movement speed, small hit box, and high damage output. Sadly, this can lead to a pretty annoying experience for the Zombies team, depending on how you feel about the Peashooter’s Chili Bean Bomb ability, which is now amplified with the Sombrero Chili Bean Bomb, and upgraded version of the former. Say hello to your worst nightmare in the Gnome Bomb mode. Speaking of special abilities, Garden Variety contains a plethora of new ones that you can look forward to unlocking via Sticker Packs. Each new upgrade greatly alters how many of the vanilla abilities are used. For instance, the Long Bomb, an upgraded version of the All-Star’s Imp Punt, now flies through the air and deals massive amount of damage to anything it touches. However, unlike it’s original counterpart, it will explode on impact making it very tricky to use if there are no objects in your way. If you manage to master it, it can be very effective in clearing out Gardens in Gardens And Graveyards. With the addition of these new abilities, it also means that certain classes, such as the Sunflower, can now be more of an offensive powerhouse, instead of just being a support type. The Potted Dark Flower skill, for example, which replaces the Potted Healing Flower skill, can deal tons of damage in short periods of time. If you’d rather not use the new abilities found in Garden Variety, you can also opt to use the traditional skills or mix and match between old and new abilities, spicing things up and adding complexity to the game. To simply put it, I’m impressed with how much content PopCap HD was able to add for free, since the DLC itself is well worth something like $9.99. It introduces a much-needed and very fun new game mode that non-casual gamers can easily get into. The Gnome Bomb mode needs a few small tweaks to make the other Plant classes more effective as the Peashooter, but that’s the only gripe I have with the new content so far. The Garden Variety add-on for Plants vs. Garden Warfare receives a score 4.5 out of 5 and is a fantastic reason to revisit PopCap HD’s quirky shooter if some some of the more recent released have been hogging too much of your time.